Angry Birds HD – The birds are at war with the pigs in this highly addictive game. CloudReaders – My cbr and cbz reader of choice, and able to show other formats as well. Cut The Rope HD – Strategically cut the rope to feed candy to the monster without hitting any obstacles. Dropbox – Storing files in the cloud, sharing them and downloading them into other apps is easily done with this app. Evernote – Keeping your information on the cloud and syncing across computers and devices is easily done with this app. GoodReader – The best PDF reader for the iPad. Hulu Plus – If you like watching tv on the iPad, you can stream most of your favorite shows with a Hulu Plus subscription. 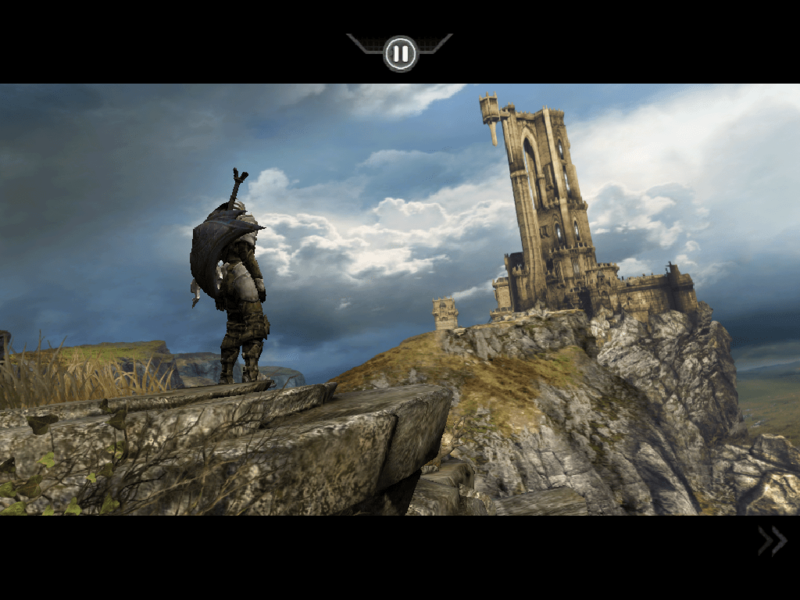 Infinity Blade – This game brings the Unreal Engine to the iPad and shows how great graphics can look on it. iBooks – Apple’s ebook store and reader. iMockups – If you are a web or app designer, this app makes it easy to create new designs and layouts for your app and websites. iSSH – The best SSH and VNC client I have found for the iPhone and iPad. Kindle – The Amazon ebook store on the iPad, and able to sync with whatever you read on the Kindle hardware, iPhone, Droid or other Kindle software with Whispersync. Netflix – If you have a Netflix subscription, the Netflix app is must have to watch your streaming movies and tv programs on the almost 10 inch screen. Plants vs Zombies HD – The most popular tower defense game with a good sense of humor and a fun theme song. Real Racing HD – Drive around a realistic track by turning your iPad to steer. Scrabble – With the Scrabble board on the iPad and the tiles on the player’s iPhones and iPod Touches makes for a fun experience when hanging out with friends. Twitter – Twitter’s own client is the best Twitter client for the iPad and has the best interface for tweeting. VLC Media Player – If you watch a lot of video on your iPad, by using the VLC app, you don’t have to convert your videos and upload them in iTunes when you can watch them with VLC, which shows most video formats. Words With Friends HD – Words with Friends is like Scrabble played over the internet. If you do play this, my username is JustJon, feel free to challenge me. If you think there are other must have apps that I missed, let me know below.